KrebsOnSecurity reached out to multiple customers whose name, email address and cleartext passwords were exposed in the screenshot shared by the Dark Web auctioneer who apparently hacked Willms’ Web sites. All three of those who responded shared roughly the same experience: They said they’d ordered reports for specific criminal background checks from the sites on the promise of a $1 risk-free fee, never found what they were looking for, and were subsequently hit by the same merchant for credit card charges ranging from $20 to $38. I also pinged several customer support email addresses tied to the data-broker Web sites that were hacked. I received a response from a “Mike Stef,” who described himself as a Web developer for Terra Marketing Group. Stef said the screenshots appeared to be legitimate, and that the company would investigate the matter and alert affected customers if warranted. Stef told me he doubts the company has four million customers, and that the true number was probably closer to a half million. He also insisted that the panel in question did not have access to customer credit card data. Nevertheless, it appears from the evidence above that Willms and several others who were named in the FTC’s 2012 stipulated final judgment (PDF) are still up to their old tricks. The FTC has not yet responded to requests for comment. Nor has Mr. Willms. I can’t help express feeling a certain amount of schadenfreude (schadenfraud?) at the victim in this hacking case. But that amusement is tempered by the reality that the hundreds of thousands or possibly millions of people who got suckered into paying money to this company are quite likely to find themselves on the receiving end of additional phishing and fraud attacks (particularly credential stuffing) as a result of their data being auctioned off to the highest bidder. 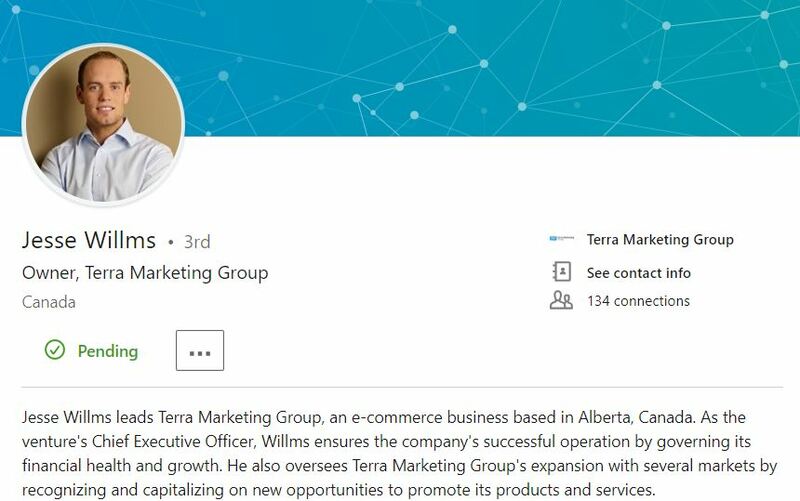 Terra Marketing Group’s Web developer Mike Stef responded to my inquiries from an email address at the domain “tmgbox.com.” That message was instrumental in identifying the connection to Willms and Terra Marketing/Penguin. In the interests of better informing people who might wish to become future customers of this group, I am publishing the list of the domains associated with tmgbox.com and its parent entities. This list may be updated periodically as new information surfaces. 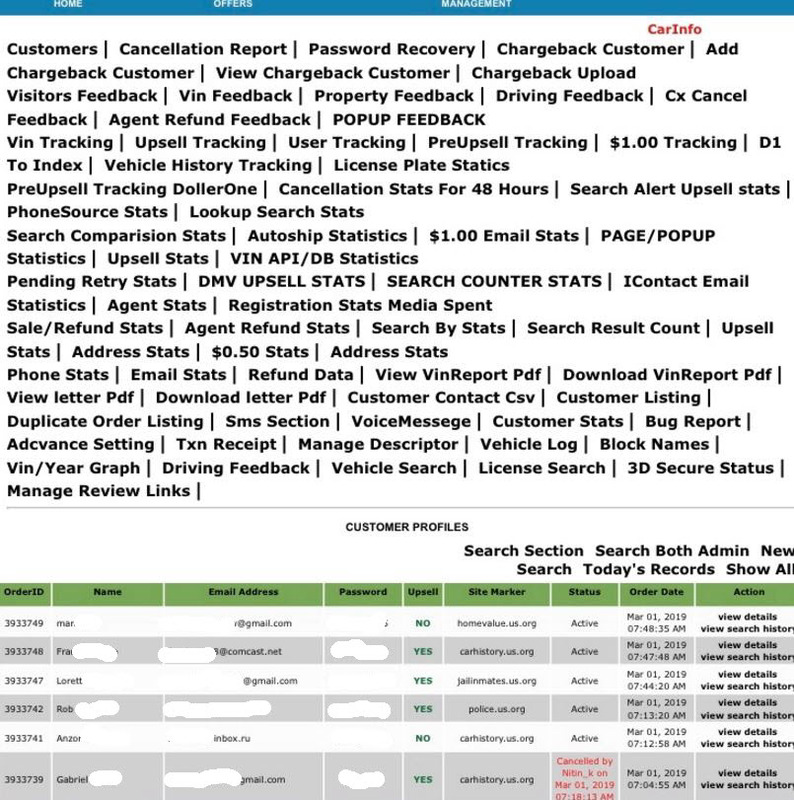 In case it is useful for others, KrebsOnSecurity is also publishing the results of several reverse WHOIS lookups for historic domains tied to email addresses of several people Mike Stef described as “senior customer support managers” of Terra Marketing, as these also include some interesting and related (albeit mostly dead) domains. KrebsOnSecurity would like to thank cybersecurity firm Intel471 for their assistance in researching this post. This entry was posted on Monday, March 4th, 2019 at 5:11 pm and is filed under Breadcrumbs, Data Breaches, Latest Warnings, Ne’er-Do-Well News.